The following requirements are in place for all dogs who come here for daycare or boarding with group play. This helps ensure the safety of all of our customers, their dogs, and our staff. We must have documentation on file from your veterinarian showing that all required vaccinations are current. We'll remind you when they're due, and you can fax them to us at (312) 276-8588, e-mail them to us, or bring them in. Puppies must have received all rounds of each required vaccination, and all vaccinations must be current, before being able to enter our facility. This is to help prevent illness with your puppy, as they have relatively weak immune systems for the first several months. Canine Influenza (the strain called "H3N2" at a minimum, although we recommend combining the vaccination with the strain called "H3N8" for full protection). Please note: The first time your dog receives this vaccination, it comes in two rounds, typically three weeks apart. You can board with just the first round, as long as it was within the past three weeks. If your dog received the first round more than three weeks ago, and you haven't gotten the second round, you will need to start over with the first round before your dog can enter our facility. There is a walk-in clinic down the street from us that gives it for $15 per round, with no appointment needed and no additional fees. Click here to learn more about this vaccination and why we require it. You may substitute proof of titers over vaccinations if your vet believes titers are sufficient. If you are concerned that you are missing a vaccination and don't have time to get it done, there is a walk-in clinic a few blocks down the street from our facility that is open seven days per week, from early to late. We're not suggesting that you change your vet if you're happy with them, but this can be very helpful in a pinch. We may be able to waive certain vaccinations if your veterinarian supplies a written letter stating the medical reasons. Large play groups and "intact" dogs are not a good combination. Even if your puppy may not be aggressive, other dogs typically don't react well to intact dogs, which can lead to aggression and a fight. In order to minimize the chance of this happening, we do require spaying or neutering once a puppy reaches seven months old. This is standard practice in the dog daycare industry across the country and is for the safety of your dog, our staff, and our customers' dogs. It is also recommended by most leading veterinarians. This is because the playgroups are well-established by noon, and some of the dogs can be tired. When a new dog enters the group at this point, it could easily lead to another dog become reactive, which could create an injury for your dog, another dog, or a staff member. Please note that we keep noon as a hard cutoff time - we cannot allow a dog into play who shows up at 12:10pm, for example, as people would expect that any time they arrive is close enough to noon. Please note that we charge a $15 solo play charge on your checkin day if your dog arrives after noon. This is because we would need to pull staff from other duties in order to care for your dog during the afternoon. If this were the case, your dog would enter play the next morning as usual. We strongly recommend arriving before noon in order to avoid this scenario. It's really best that dogs under two months old stay with their mother, so they learn basic skills and behaviors that they will take with them through life. Once they reach two months, they'll also be big enough to stand their ground in a play group. Every dog in play must have a collar. This helps us separate them if necessary. Every dog in play must have an ID tag on its collar, with at least its name. This is because many dogs look alike, and we cannot take the risk that a dog would, for example, receive the wrong food or medicine. We make ID tags here, and every dog will receive one free tag. After that, any future tags cost $5 plus tax. We strongly dissuade any "designer" collars (leather, for example), as they can become easily damaged during play. We are not responsible for damage done to any collar. 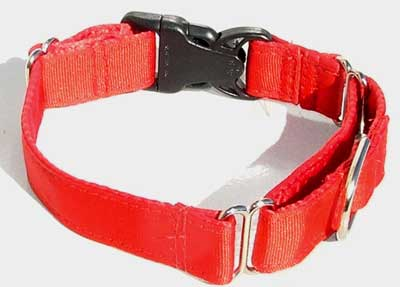 We sell quick-release collars such as this, in various colors and sizes. They range from $8 to $13 depending on the size. Buckle-style collars take too long to remove and are not allowed in play. These collars have a pin that fits through a hole, similar to a belt. We cannot have dogs in play who have recently received any medicine that goes onto their skin or coat, as another dog could lick it. This could cause the other dog to feel sick, or even experience a chemical burn on its lips or tongue. If you need to give your dog medicine that is applied to its skin, it must be done so at least three days before coming here so it has time to absorb. If we notice medicine on a dog's fur or skin, we would need to rinse it off immediately or remove the dog from play. We cannot have any dog in play with an injury, open wound, stitches, or bandages. Stitches or bandages would come off in no time. Injuries could easily worsen, and open wounds could easily get infected. All of these scenarios would be detrimental to your dog's health, and your vet would not be happy with us as professionals. Other dogs pull on harnesses, jackets, and other apparel. This can cause damage to these items, and can cause the other dog to get its jaws caught up in them. 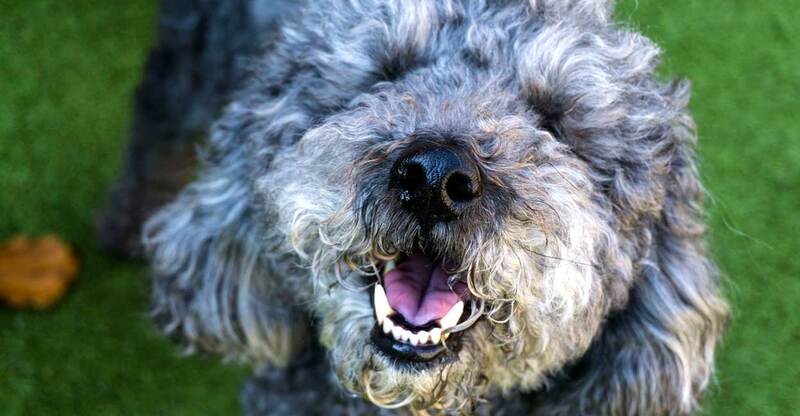 Muzzles can cause other dogs to become reactive, which can cause your dog to become reactive. These situations can be very dangerous and could lead to an injury to a dog or staff member. We remove all such items in play. All dogs who are boarding with us will receive at least one nap per day. This is because being in group play for too long can make many very overly tired and stressed. This could lead to them becoming reactive or snappy, which could lead to an injury to your dog, another dog, or a staff member. We have a very structured system to ensure that dogs are not left in naps for too long. We normally give a full day of rest on every third day to dogs who are boarding with us and participating in group play. This is to help avoid them becoming too tired and possibly reactive towards other dogs, which could lead to an injury to themselves, another dog, or a staff member. During a day of rest, they are taken out multiple times per day for shorter periods of time, to play with the handlers and other dogs who are also on their day of rest. We find that this approach gives them the best experience possible, because playing too much can be overtaxing for a dog's system. We give naps to the dogs in our care, and from time to time may need to remove a dog from play for being overwhelmed, tired, or reactive. When this happens, the dog must go into a boarding suite. Therefore, we cannot have dogs in group play who can never go into a suite. We have a structured system to ensure they are not in a suite for too long. If a dog simply shouldn't go back into play, we would inform you, at which point you or your friend could come pick up your dog if you desire, or it could continue to stay with us but not be in group play. We require a free trial day for all dogs coming here for boarding with group play, if they have never boarded with us before. 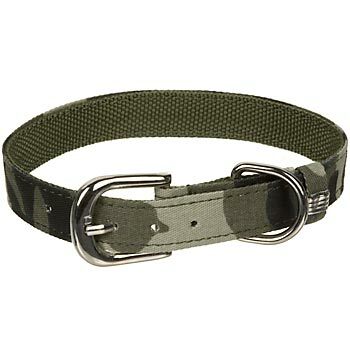 This is for the safety and well-being of your dog, and the other dogs in our care. We want to give your dog the opportunity to get used to our environment and our staff before you leave for your trip, and to help ensure it is not overly stressed or reactive. At the end of the day, we'll tell you how your dog handled the experience, and you can feel free to call in during the day to see how everything is going. If your dog didn't do well, this would give you time to find another alternative. It also shows your dog that you're coming back for it, which can be very important for rescue or otherwise anxious dogs. We find that when a dog comes here for the free trial day, its experience is much more positive, and that is what matters most to us. If your dog was simply stressed, it's definitely possible that it could still board with us - it just may take another visit to become adjusted. Identifying "aggressiveness" can be a fine line. We know it's normal for most dogs to show some signs of aggression in a group environment from time to time. For example, your dog might growl at another dog to communicate that he doesn't want his space to be invaded at the moment, and certainly growling is better than fighting. However, our staff will be ultimate judge of whether the behavior goes over the line, to the detriment of the other dogs. Incidents such as fighting, snapping, and biting will simply not be tolerated. Normally we will try to use a "three-strikes" rule, but depending on the severity of the incident, your dog might not be allowed to continue coming to visit us. Otherwise, we recognize that minor cuts or abrasions may occur from time to time due to wrestling and playing, and we will take every matter into consideration with fairness. 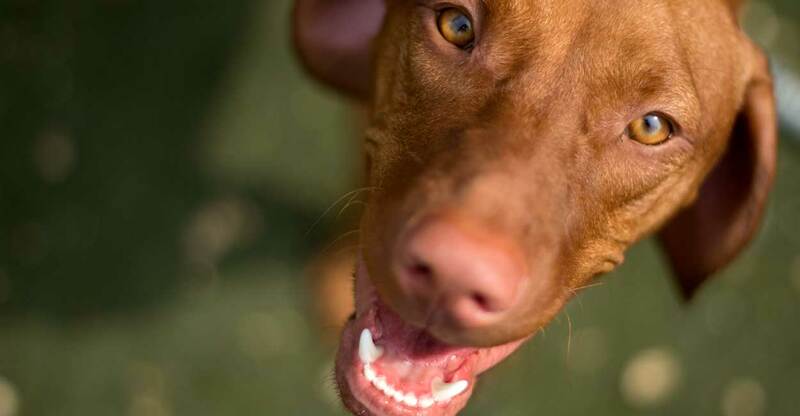 We cannot have dogs in our care who show a pattern of snapping at or trying to bite humans. This could cause a serious injury and we cannot put our staff in harm's way like this. Lots of male dogs, plus one female in heat, all in a confined space. You get the picture. As disgusting as it sounds, some dogs eat poop while in play because they either think it's fun, tastes good, or it may give them nutrients that their body craves and that they're not getting in their diet. This can be a major problem in a daycare environment because it can lead to a contagious illness called giardia (think: dog eats poop, then drinks out of community water bowl). If you are unfamiliar with giardia, trust us, you don't want to go through it! We obviously try to pick up poop and pee as quickly as possible, but some dogs swoop in very quickly and it can be challenging to stop them. If the staff indicates to you that your dog is a culprit, we ask that you take this very seriously and act accordingly because that we can't have dogs in daycare who do this. Typically it can be corrected through proper training and using the "leave it" command consistently. It could also require a change in food, or it could be due to a medical disorder that requires a vet visit and dietary supplements. Ready to gain freedom when you travel?